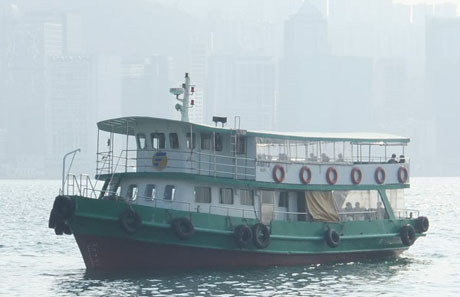 Apart from the main outlying island ferry services and the Star Ferry Hong Kong has many other ferry services operating both within the confines of Victoria Harbour and outside the harbour to and between various islands and points in Hong Kong Island, Kowloon and the New Territories. Some of these may be useful to visitors either as a convenient route to other parts of the territory or simply for pleasure. In addition to the services detailed below, following a government tendering exercise it is expected that a new cross-harbour service between Central Pier 8 (western berth) and Hung Hom (South) Ferry Pier (eastern berth) will commence operating in the second quarter of 2019. 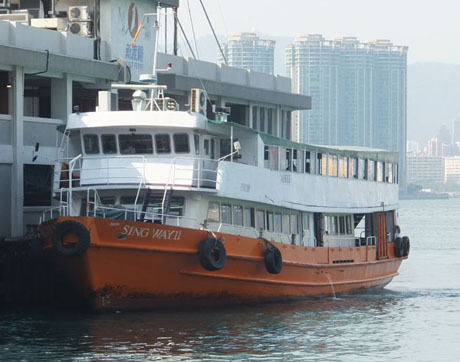 A Central - Hung Hom route was previously operated by Star Ferry from 1999 until 2011 when Star Ferry did not apply for renewal of the licence owing to declining passenger numbers and substantial operating losses. 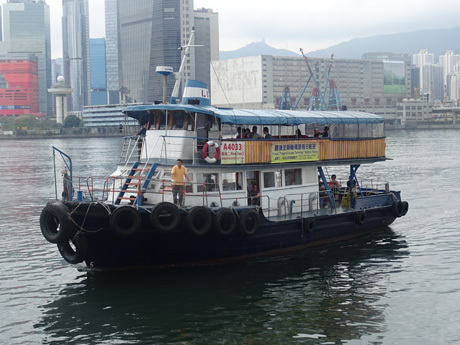 Invitations for a "water taxi" service to operate between Kai Tak, Hung Hom, Tsim Sha Tsui East, West Kowloon and Central were made in September 2018 but as at mid-December 2018 no bids had been made. 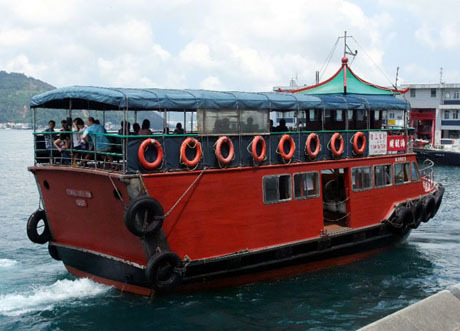 Operated by Fortune Ferry Company Limited, a member of Chu Kong Shipping Group (CKS), this scenic kaido ferry journey is useful for visitors wanting to use an alternative to the bus for travelling between Tai O and Tung Chung. The ferry departs from the new promenade near the bus terminus at Tai O (not the pier at the entrance to Tai O harbour). From Tai O the ferry travels round the north Lantau headland and along the North Lantau coastline before sailing through the narrow channel between the airport at Chek Lap Kok where it calls at Sha Lo Wan Pier. From Sha Lo Wan the ferry continues across Tung Chung Bay and under the Ngong Ping 360 cable car route to Tung Chung New Development Pier (about 5 minutes walk from Tung Chung Town Centre) and then to Tuen Mun on the Southwest New Territories coast. Journey times from Tai O are 20 mins to Sha Lo Wan, 30 mins to Tung Chung and 50 mins to Tuen Mun. The service is normally operated by "fast ferry" (see picture below). 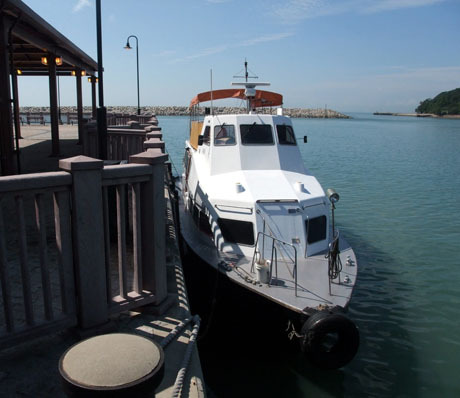 However at peak times, particularly Sundays and public holidays an additional "ordinary ferry" may operate to meet demand. 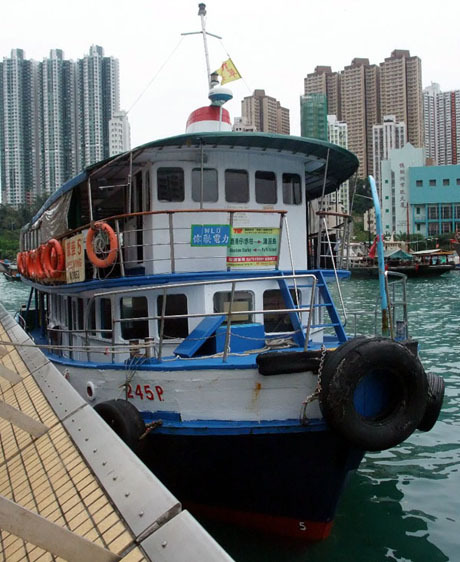 There is a flat fare of HK$25* for adults for the "fast ferry" or HK$20* for the "ordinary ferry" (HK$30* and HK$25* respectively on Sundays and public holidays) except for passengers on the section between Tuen Mun and Tung Chung only where reduced fares of HK$18* for the "fast ferry" and HK$15* for the "ordinary ferry" apply at all times. Most sailings are by Fast Ferry and the "Ordinary Ferry" only operates on special occasions. 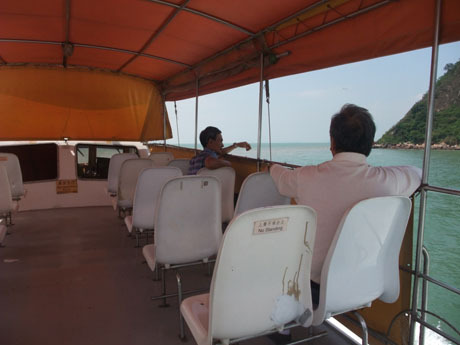 On Mondays to Saturdays payment can be made on board the ferry in cash or by Octopus Card. 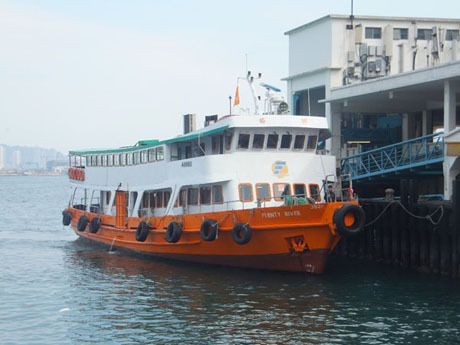 On Sundays and public holidays Octopus Card and cash payment on board is not accepted and same day advance tickets for sailings from Tai O must be purchased from the Fortune Ferry ticket kiosk on Tai O Waterfront Promenade. 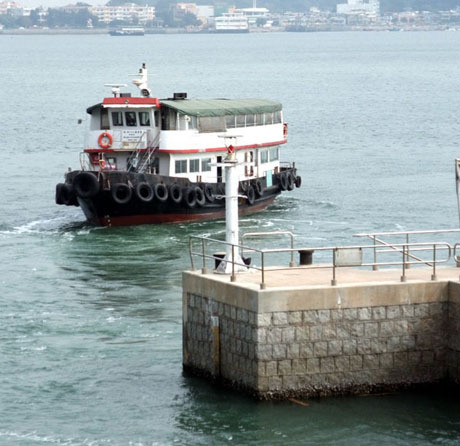 Same-day advance tickets for sailings from Tuen Mun can be purchased from 7-30am at Tuen Mun Ferry Pier. Additional sailings are sometimes available on Saturdays, Sundays and public holidays to meet demand. *Persons age 65 and over (including foreign visitors) using Elder Octopus Card (Elderly Persons) are able to benefit from the HKSAR Government’s “Public Transport Fare Concession Scheme for the Elderly and Eligible Persons with Disabilities” under which eligible persons can travel at a fare of HK$2 per journey (or 50% of normal adult fare, whichever is lower). Between 2009 and 2012 the average daily patronage of this service increased from 461 to 698. TRIAL OF ADDITIONAL SAILINGS - With effect from 25th August 2018 a regular "short-working" service will operate on Saturdays, Sundays and public holidays on a trial basis for a period of one year. The service will operate between Tung Chung and Tai O via Sha Lo Wan but will not extend to Tuen Mun. These sailings are in addition to existing scheduled sailings and depart from Tung Chung at 10-00, 12-00, 14-00 and 16-00 and from Tai O at 11-00, 13-00, 15-00 and 17-00. Sailings call at Sha Lo Wan 15 minutes after departure from Tung Chung and 30 minutes after departure from Tai O. 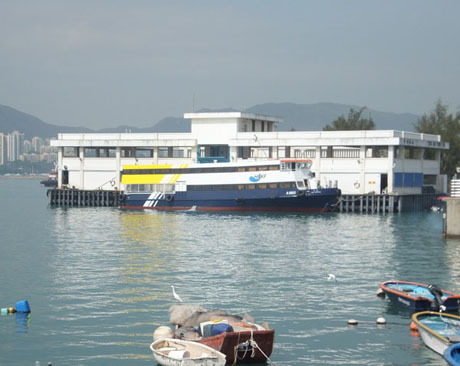 In July 2015 tenders were invited by the Transport Department for future operation of the Peng Chau - Trappist Monastery - Discovery Bay kaito ferry service with a deadline of 7th August 2015 for applicants. Following the introduction of new marine safety rules and crew number requirements it had been announced that this service would cease to operate completely from February 2014. However after negotiations with the Marine Department interim safety requirements were agreed and the current operator has renewed its licence for two years until February 2016.